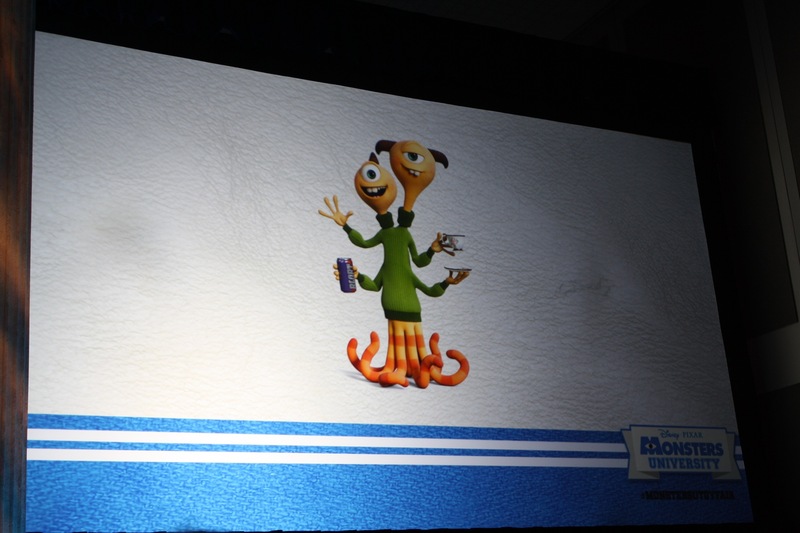 Yesterday, amidst a preview of upcoming Monsters University toys, director Dan Scanlon and producer Kori Rae discussed the film’s plot and characters with those in attendance at the press event. In addition to speaking about how the film will focus on the genesis of Mike and Sulley’s friendship, Scanlon and Rae also introduced several new characters that will assist the unlikely green and blue duo in this journey. Find out who these new monsters are and who they are to be voiced by after the break! 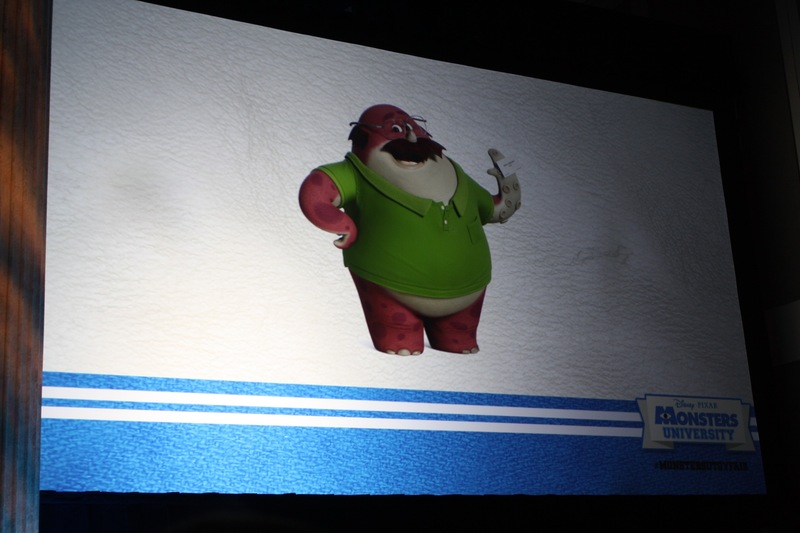 Don Carlton, who is a “mature student returning to college to follow a dream to study scaring, will be voiced by Joel Murray (Freddy Rumsen from Mad Men). Terri and Terry may be connected but they have different ambitions. They are the “classic bickering brothers that both wanted to be scarers” but Terri, the younger brother who is voiced by Sean Hayes (Jack from Will & Grace) is now a dance major, while Terry, who is voiced by Dave Foley (Flik from A Bug’s Life) is not. Scott “Squishy” Squibbles, who bears a striking resemblance to Russell from Up, is an “18-year-old college student who doesn’t know what he wants to be.” He is voiced by Pixar’s Pete Sohn (Emile from Ratatouille), who is currently co-directing The Good Dinosaur. Art is “that [weird] college guy you don’t know anything about” and is voiced by Charlie Day (Charlie from It’s Always Sunny in Philadelphia). 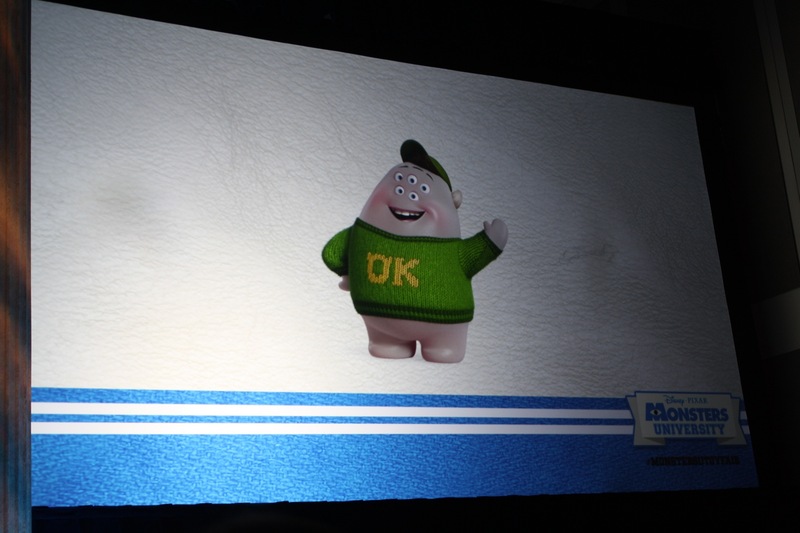 Together, the new characters make up Oozma Kappa, a “self-made fraternity” which is headquartered in Squishy’s mom’s basement (as seen in the clip from the featurette posted online last week). Pixar films often have a breakout character that has the ability to steal every scene he or she is in (e.g. Edna Mode from The Incredibles). Anyone want to guess who the fan favorite will be from the above group? 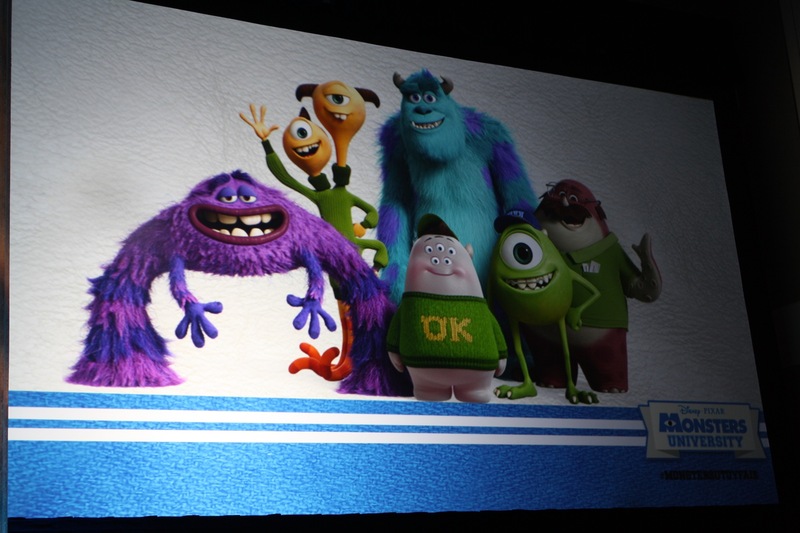 Monsters University arrives in theaters later this year on June 21.